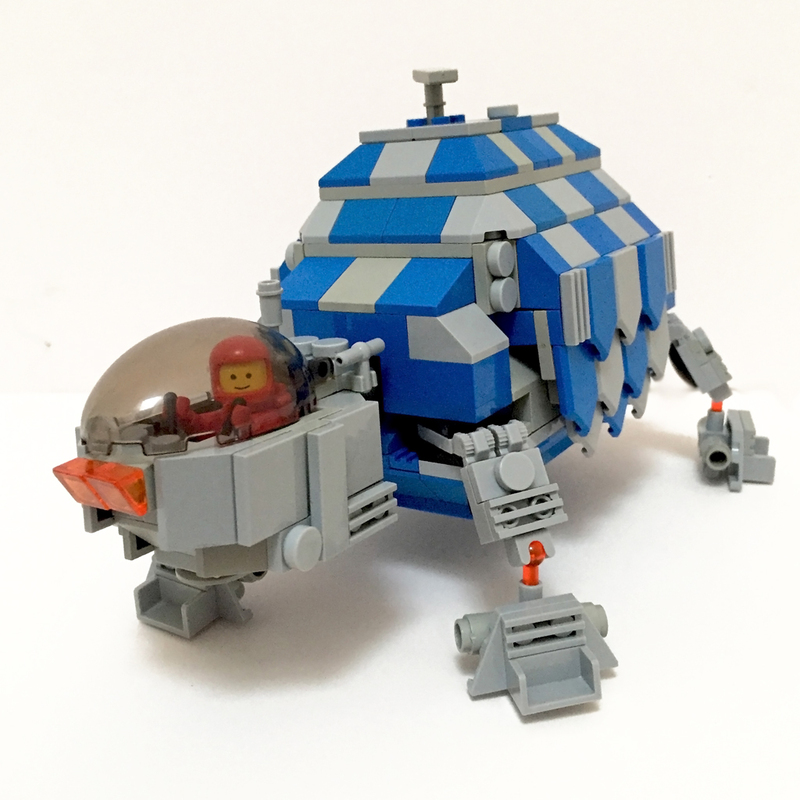 We're back for another day of Classic Space builds inspired by some of the new LEGO® parts released this year. Following hot on the trail of Drew Hamilton, Jason Briscoe, Tim Goddard and Jeremy Williams we have David Alexander Smith. I first noticed David because he creates all sorts of odd things in a primitive style but most recently he has become known for his charming series of Space Dinos which emulate not only Classic Space but also other toys of the 1980s. The little bag of Nexo Knights elements I was sent immediately got my sci-fi juices flowing. 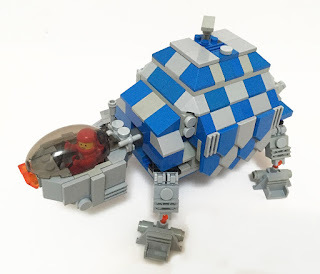 As a Classic Space builder the pieces cried out to me to be used in a whole host of ways, although I suspect a space tortoise wouldn’t be the most obvious choice. The new Nexo shield tiles (Design ID: 22385) provided my primary inspiration, and I suspect for Space builders will become a staple part. I could see interesting new tessellations in these new tiles and, as in the case of the tortoise, by using a simple overlaying technique an ability to make diamond and hexagonal repeats that had a shell-like quality. If I had a few more of these, I would have altered the build to be constructed from angled plates so as to distribute the pattern across the whole shell. As it was I made a compromise and only used the technique on the sides, which I think is quite effective nevertheless. Of course this and similar techniques could be developed in other building styles, whether constructing armour plating, scales or feathers. I hope the LEGO Group release it in a wider range of colours in future sets, as it appears very versatile. Another element that proved surprisingly useful was the trans-neon orange bar and ball joint (22484). Allowing the articulation point in the tortoise’s legs to be attached to a number of other bricks opened up several new ways for me as to how its feet could be built. I also like the fact that the colour allowed an exciting accenting that reminded me of the old 1970s toy Micronauts. 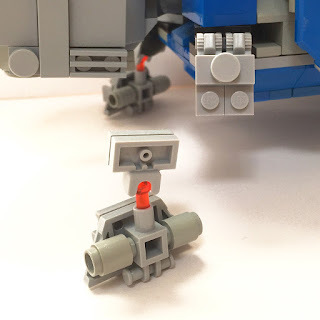 In my case I attached the ball joint to the new multi-connective Nexo Bot torso element (24078), also found in my bag of goodies. Although I feel I could have made more use of this fascinating piece, it did prove particularly good at quickly constructing a stable foot for the tortoise along with the new double-cornered panel (23969). With the addition of some 1x1 cylinder bricks I was able to emulate the shape of the Classic Space three-way booster parts, which appealed to my retro-aesthetic. As a piece the multiple connections offered makes it is something I’m sure I’ll come back to and find new uses for. Having had a chance to build with a selection of the Nexo Knights pieces now, I feel my initial instinct that the part selections would be useful has been vindicated. 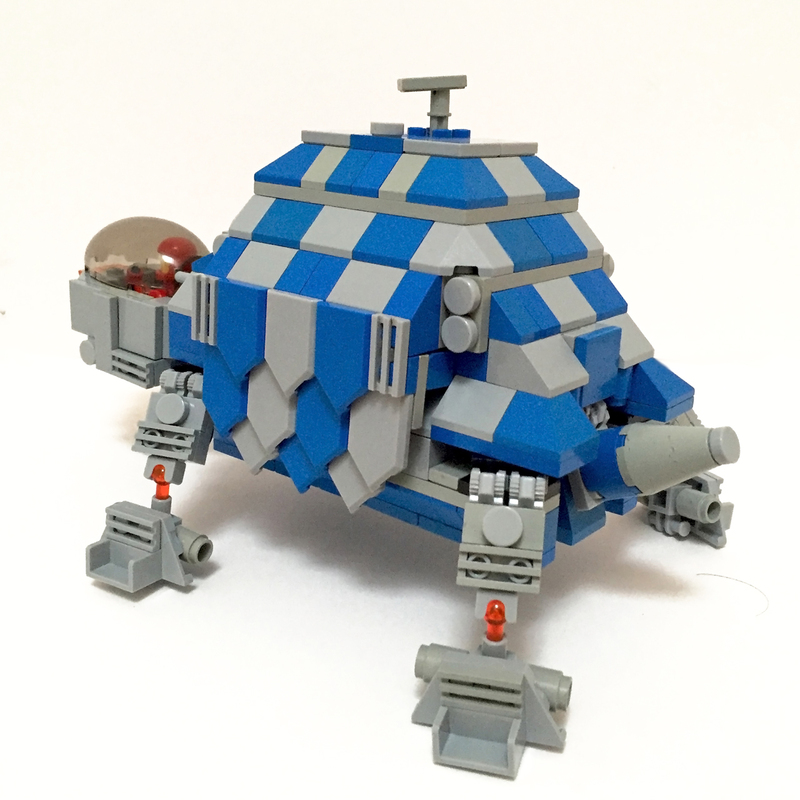 As a Space builder, the elements speak to me and seem perhaps to have even been designed with a nod towards LEGO history. It was never going to take a lot to persuade me to grab few more sets in this range, but this experience has confirmed the deal. Thanks so much David, it's truly an honour to have one of your CS-animal-toy-thingies designed especially for New Elementary! You can follow David on Flickr here. David also writes fascinating, erudite articles about the LEGO hobby for my magazine Bricks Culture. I've been waiting for the space turtle man! 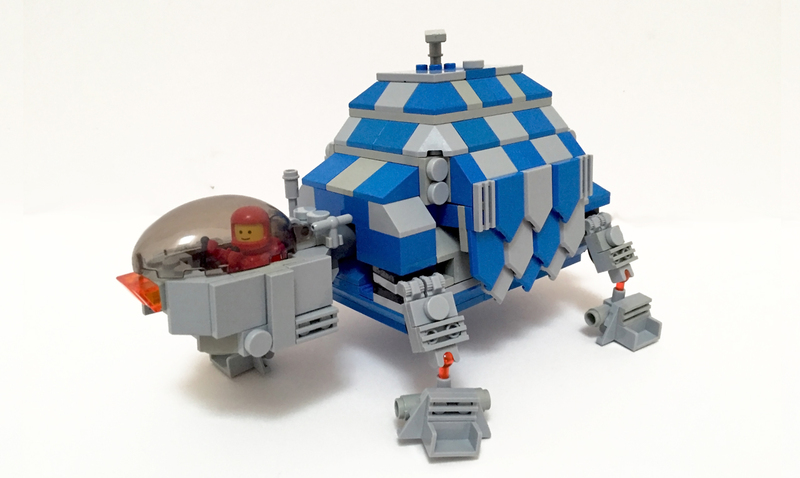 It's a Nexo Knights Starbug! Lovely work to show what can be done with these pieces.